Check out the range of backing pads that we have here in stock at AIP, suitable for a range of applications including sanding, grinding and finishing. We specialise in providing abrasives, which includes backing pads, from one of the leading manufacturers in Germany KLINGSPOR. With more than 100 years of experience, KLINGSPOR first started making parts for sanding and grinding in 1893. Over the years they have developed and refined their knowledge and remain one of the most respected experts in the industry. 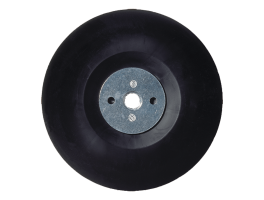 We stock backing pads for non-woven web discs which are suitable for a wide variety of applications. Fitting with all standard machines, we can also offer customised backing pads with the right placement and number of holes to fit your specific machine. 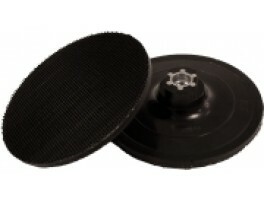 You’ll also find backing pads for angle grinders which are tough and long-lasting, featuring the special ACT coating. With high temperature resistance, these backing pads manufactured by KLINGSPOR offer superior durability and a flawless finish. All of the pads have been tested against stringent safety standards and comply with the regulations for industrial use. You’ll find plenty of high quality backing pads available from our website, offered at the lowest possible price. If you don’t see exactly what you’re looking for, just give us a call and we’d be happy to help further.